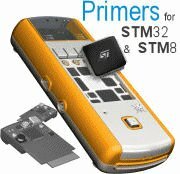 This tutorial will hand you through your first steps with Ride7 and the STM32-EvoPrimer. You will learn how to create CircleOS applications using the Ride7 wizard, modify their code to taylor them to your needs, as well as programming/debugging them on your STM32-EvoPrimer. The tutorial requires 1 to 2 hours to complete. Once finished, you will have a bubble level application based on the onboard 3D MEMS sensor that you can run from your EvoPrimer. To add comments, please register you.